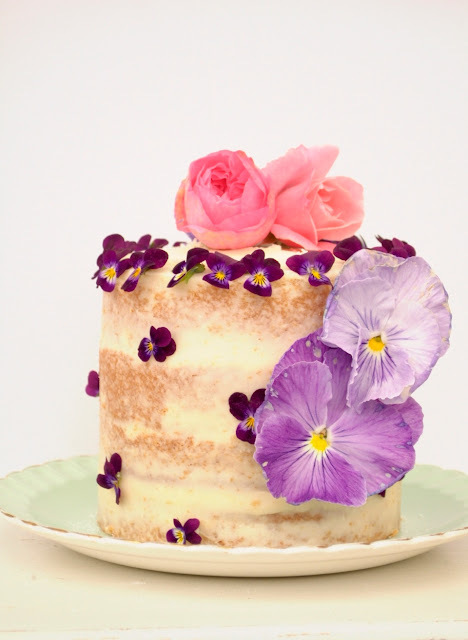 I was trying to decide how best to decorate this naked cake that I made at the wk-end. It looked rather simple just sitting there with nothing on, (I know it's naked and kind of the point, but I do love pretty things!). 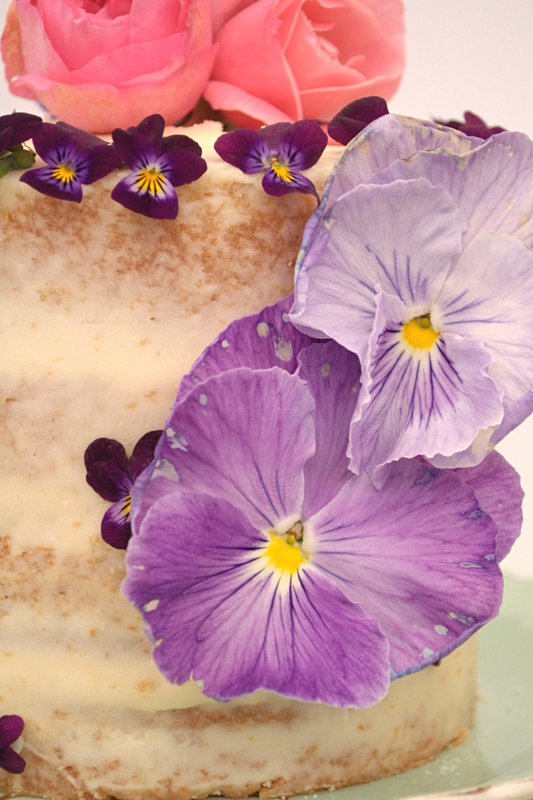 So, I was doing a spot of gardening and noticed how pretty my little violas and pansies were, plus they are edible! Naturally a plan hatched, and they ended up on the cake. 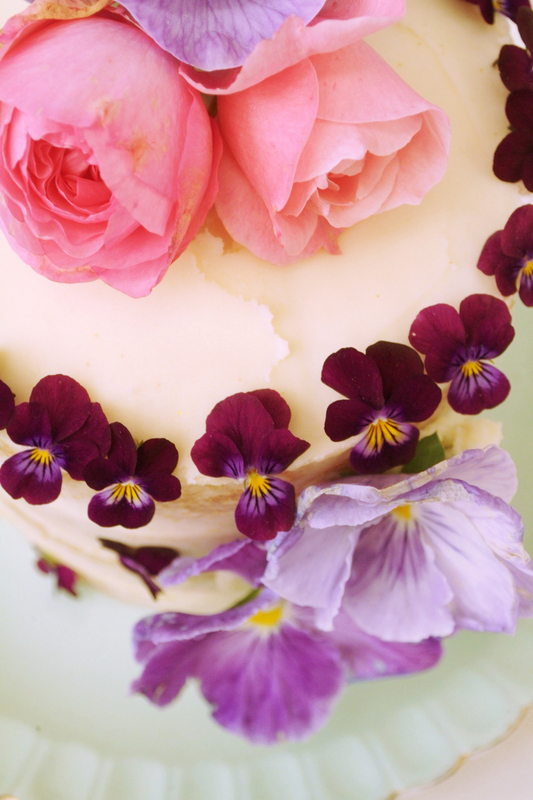 I've often used edible flowers in my bakes, but I'm actually thinking of using them as my signature on my naked cakes. I've since found a lovely supplier who farms organic flowers for eating. I'm going to crystallise some too! 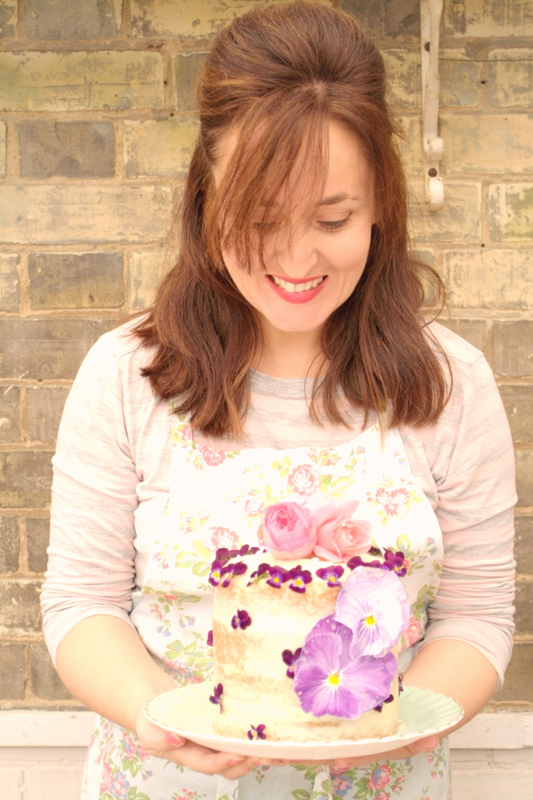 I will be making my naked cakes now for special occasions and weddings.